The American dream is pretty simple: the pursuit of happiness. You want to better your life for you and your family, and to do that you often need a good credit score. Your credit score not only helps you pay less interest on a mortgage, auto loan, personal loan, or credit card, but it can also help you rent an apartment and get a good job. We’ve put together a resource to help you understand what a good credit score is and how to improve your score to where you want it to be. These interpretations aren’t cast in stone. Different lenders may evaluate your FICO score in various ways. What constitutes a “good” score for one purpose might be only “fair” for another. It’s also important you understand exactly which score is being used for a particular purpose. 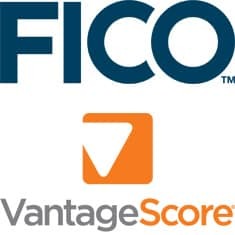 The two most popular scores are FICO, developed by the Fair Isaac Corp., and VantageScore, a joint development of the three national credit reporting companies (CRCs): Equifax, Experian and TransUnion. Both of these scoring systems have a point range of 300 to 850, although the score calculation and interpretation don’t exactly match up. Consumers actually have three FICO scores, one for each CRC. FICO 8 and VantageScore 3.0 are the most commonly used versions, but other versions can be used for specialized purposes. VantageScore has several secondary point systems with slightly different ranges. Other alternative credit scoring systems address particular niches and often use different point ranges or letter scores. These include Aire, eCredable AMP, FactorTrust, and more. It’s easy to check your credit score, and you should do so at least once per year. You can go online to get your credit report and score from a reputable source like myFICO.com — the credit score used in 90% of lending decisions. You should always check your score before you apply for a loan or make a major purchase using credit. Your FICO score is not free, unless you’re able to get it through a credit card you currently carry or from your financial institution. 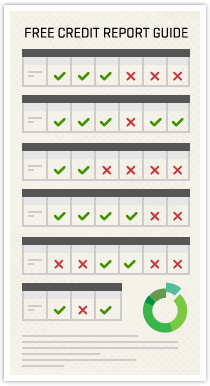 You can always get a free copy of your credit report from each bureau once annually from annualcreditreport.com, but this does not include your credit score. Your credit score summarizes your overall credit history into a single number that’s based on the information in your credit report. 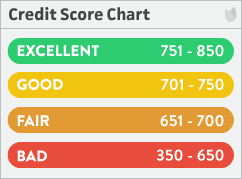 Basically, your score indicates how you’ve handled credit in the past. Lenders and creditors use your score to decide whether to approve or reject your applications for loans and credit cards. A good score gives you access to lower interest rates and other favorable terms, including a higher credit line or loan amount, higher cash-back rewards, lower fees, and so forth. You need to understand how to interpret your credit score, and how its meaning changes depending on the use you have in mind for it. If you find out that your score is less than “good” for a credit card request, for example, you might want to take steps to improve your score before filling out an application form. Keep in mind that all the scores that follow are approximate, and you may find cases where credit is available at even lower score levels. Check out our mortgage lender reviews for some of the best offers currently available. Bear in mind that the average credit score among homebuyers in 2016 is 728, and 6.8% have scores less than 620. Quicken Loans is the nation’s largest online lender, and allows you to be pre-approved before shopping for a new home so you know what you can afford beforehand. Credit scores are a little more lenient for auto loans, because it’s easier to repossess a car than it is to foreclose on a home. These scores can vary by lender. If you have poor credit, be sure to check our reviews for car loans. Note that the more money you can put down, the better access you’ll have to an auto loan. 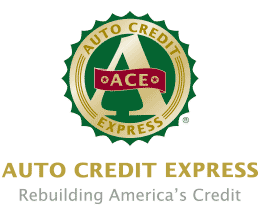 Our top partner, Auto Credit Express, specializes in working with bad credit, no credit, and prior bankruptcies and repossessions. You can find many personal, short-term, and payday loans intended for those with good to poor credit — see our reviews for personal loans for people with bad credit to pick one out yourself. PersonalLoans.com is our top recommended source, and funds can be received as soon as one business day. Even if you have a bad credit score, you might be able to borrow from $300 to $1,000 via a short-term or payday loan. A credit card is the most versatile form of credit. Unsecured credit cards do not require a deposit or collateral. Secured cards are backed by funds deposited into a bank account and are best suited for consumers with poor or non-existent credit. Don’t let bad credit prevent you from getting a credit card – check out our reviews of secured and unsecured cards. Note that your bank might offer you an unsecured card if you manage your secured card responsibly. Credit One Bank is one of the leading issuers for those with poor credit. Payment history: Avoid late or missed payments, and try to pay back more than the minimum amount each month. Avoid bankruptcy, foreclosure, liens, law suits, wage attachments and other derogatories – there is almost always a better option. Amount owed: Try not to utilize more than 20% of the available credit on any one account. Reduce the number of accounts with open balances, but do not remove revolving accounts (such as credit cards and home equity lines) even if zero balance. Length of history: It’s a good idea to get a credit card early in life — even if it’s secured — in order to build your credit history. Managing your credit wisely over several years will boost your score. Credit mix: It helps to have a mix of responsibly handled retail accounts, installment loans, mortgages, finance company accounts and credit cards, especially if you do not have a long credit history. New credit: Don’t open too many accounts within a short time period, and try to avoid having too many inquiries made upon your credit history. Keep accounts open, even if you don’t plan to use them again. For more specific recommendations about improving your credit score, read our best credit-building practices. Your credit score is one of your most important assets, and there’s a lot you can do to protect and improve it. When seeking credit or a loan, remember that your credit score, whether FICO or VantageScore, will be interpreted in light of what you are applying for. With our tips for how to improve your credit, you should be on your way to the American dream in no time. Good luck!